Good luck in your new positions, and may the force be with you! In the same breath, I wish to thank again the leaving moderators, Zev Chonoles, Qiaochu Yuan, and Eric Naslund. Thank you for all the hard work that you've put into the site! Here is the result for those who do not have immediate access to OpenSTV. The candidates are elected using OpenSTV with the Meek STV method. 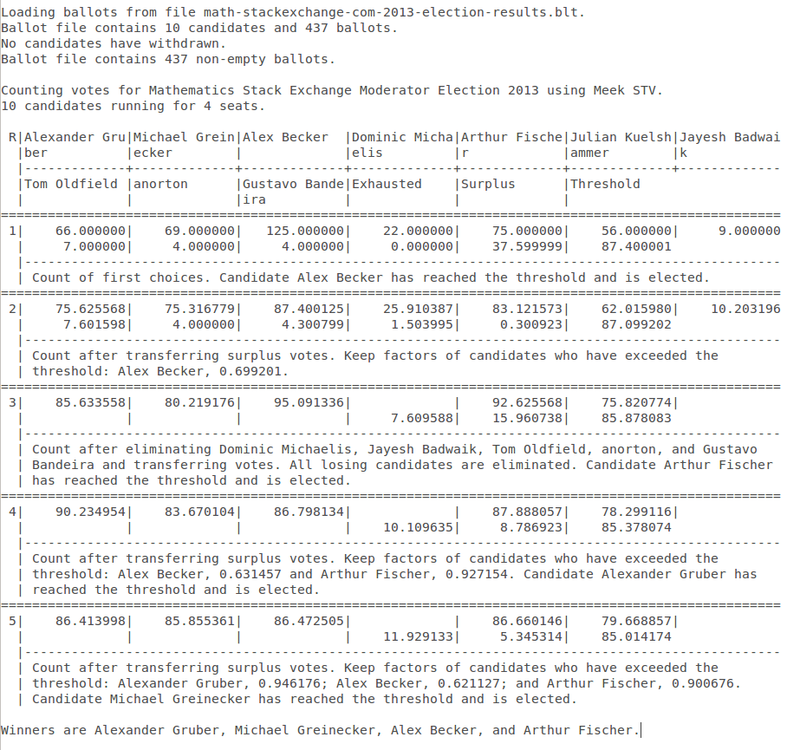 More details on stackexchange moderator election vote counting can be found here. Congrats to the newly elected moderators! I believe these four will do a great job and take the community forward. I hope the other candidates will keep contributing to math.stackexchange and wish them better luck in the next elections.